The government has today (11 January) set out their plan for how we will be the first generation to leave the environment in a better state than we inherited it. Members of the SWEEP team have been working with government, environmental and community organisations to help inform this ambitious new plan. Announced by Theresa May this morning, Defra’s 25 Year Environment Plan (25YEP) places ‘natural capital’ (nature’s stores of valuable resources) at the centre of environmental, agricultural, land and marine policy and planning decisions. Taking a longer-term view than ever before, the Plan acknowledges the enduring effects of environmental change and that it will take many years to restore the environment to the high-quality base for economic growth and human well-being that society needs. The Plan sets out an ambitious and wide-reaching agenda, covering issues such as creating new areas of forest, preserving species and habitats, reducing our reliance on plastics, and improving the quality of our soil and drinking water. The 25YEP will also shape future legislation in areas such as agriculture and fishing. I strongly welcome the policy directions set out in the Government’s 25 Year Environment Plan. Since the start of the Industrial Revolution we have taken more from the environment than we have ever put back and the resultant degradation has accelerated massively over recent decades. These problems cannot be fixed with short term policies – they need a generational commitment to change and this is perhaps the most important outcome from today’s announcement; a willingness to deliver a better world for the next generation. 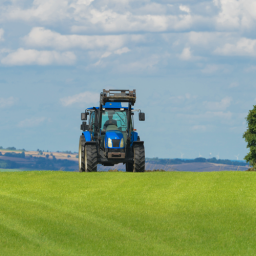 To help achieve this plan, Defra has identified a number of test sites, or ‘Pioneers’, that will run programmes to trial and develop new, ground-breaking approaches to environmental management and decision-making. North Devon is in the unique position of hosting both a Landscape and Marine-based Pioneer programme which will be working together closely to ensure that the vitally important boundary between the land and the sea is properly considered in decision-making. 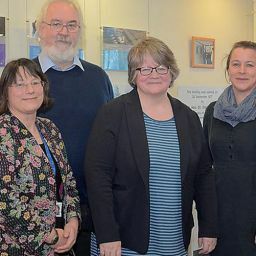 SWEEP experts have been working with a wide collection of partners to shape the North Devon Pioneer projects. Their research and expertise will help create tools and processes that will support economic growth in fisheries, aquaculture, renewable energy and tourism – sectors so important to the North Devon region, and will help shape future policy that will have an impact nationally. Sian Rees, Senior Research Fellow with SWEEP at the University of Plymouth, has been working with partners such as North Devon Biosphere Reserve and the WWF UK Seas project to get the North Devon Marine Pioneer up and running. Plymouth University is developing world-class research on the application of the natural capital approach in the marine environment. The impact of this research has been central to the development of the work programme for the Marine Pioneer. 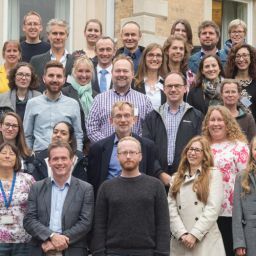 We hope to work with our project partners to ‘pioneer’ innovate approaches to marine management that will enable a ‘net gain’ for biodiversity, and society. The 25 Year Environment Plan proposes a new natural capital approach to decision making which recognises the value of the environment and brings this value into business and government decisions – an approach central to SWEEP’s work and the variety of Impact Projects that will continue to run over the coming years. Professor Bateman acknowledges that the Plan is a positive step forward, but more needs to be done. The Plan acknowledges that the natural environment underpins everything we do and value; our economy, our health, where we live and our quality of life. But this Plan must not be the final word on this issue, indeed it has to be just the start of restoring the environment. Yes in part this is an issue of resources but importantly the 25 Year Environment Plan won’t work unless it is supported by other areas of policy. A key area is going to be our post Brexit Agricultural Policy which has to reverse the environmental degradation overseen by the Common Agricultural Policy and move to a situation where public subsidies support the high quality environment and other public goods that taxpayers want and deserve.